MultiMension was commissioned by Lunanos Inc to create a series of infection control materials targeting South Asia, especially Philippines. 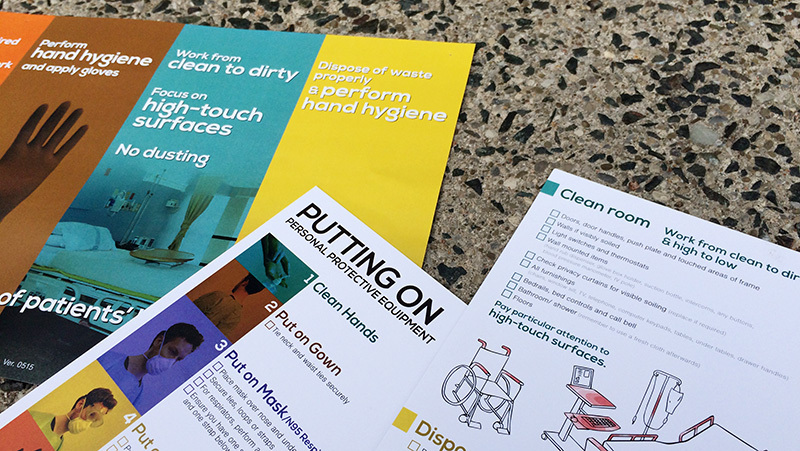 Due to limited internet access at the partner hospital in Philippines, print materials were produced for healthcare workers about environmental cleaning, use of personal protection equipment, and hand washing. There was a question though. We wondered at the beginning whether another hand washing visualization was really needed. 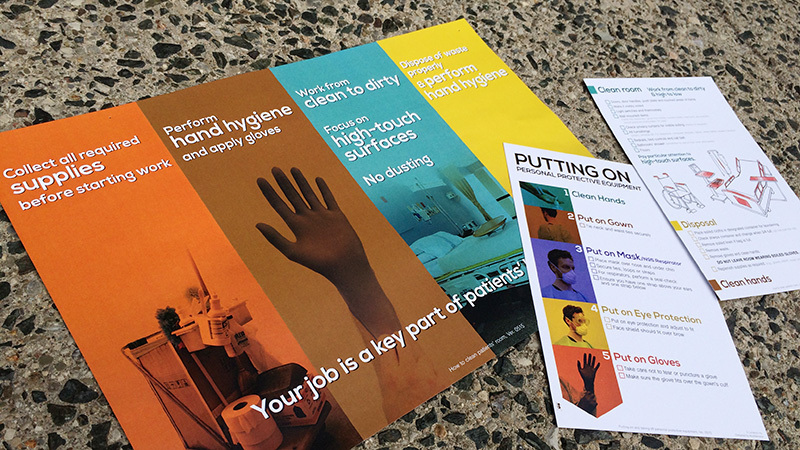 Hand washing is something mentioned in every infection control process, and a variety of hand washing posters and materials have been produced. Many people find it simply repetitive. However, our research revealed that not many lay audiences know how to properly wash hands. People habitually wash hands, but only few understand and practice recommended hand washing techniques. Although the visuals from WHO show the proper hand washing techniques, their 12-step recommendation is over-complicated and confusing. We decided to re-design the hand washing poster to provide more intuitive visual instructions based on WHO materials. 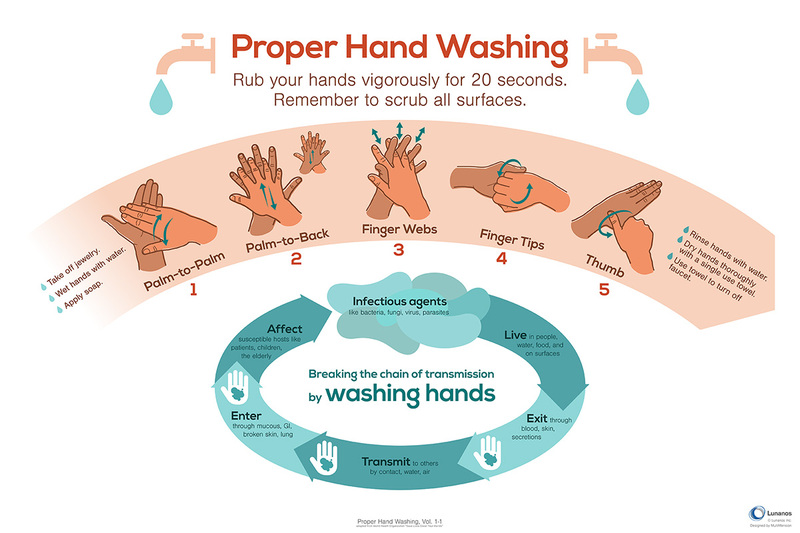 This way proper hand washing techniques can be easily learned, which is beneficial for infection control and disease prevention. Simple & Focused: In order to focus on the proper hand washing techniques, only 5 steps are emphasized. Engaging: A warm color palette was developed to target global south. Informative: How hand washing can break the chain of infection was explained through a diagram. Our solution made our clients and global health educators very happy. The poster and other materials are now displayed in global health conferences and initiatives in South Asia. At MultiMension, we are creating other versions of the materials targeting North America.